The Nielsen Computer and Mobile Panel is a bit different from other survey and research opportunities, as you supposedly do not have to do much to be a member and earn. But is the panel a scam, or is it a way to make a little passive income? This Nielsen Computer and Mobile Panel review will give you all the details about what the panel is really offering, what data it collects, and if it is safe and worth using. What is Nielsen Computer & Mobile panel? The Nielsen Computer and Mobile Panel is run by Nielsen Research, which is one of the biggest companies within media and consumer research. It is a reputable company, and you can safely assume that any service that Nielsen is behind is legit and not a scam. Nielsen does many kinds of research and has several survey panels, but in this review we will look at the Nielsen Computer and Mobile Panel. This panel is also in some countries called Nielsen Digital Voice panel. It is a very simple and easy-to-use panel, as you do not have to do much, once you have registered for an account. But let’s go more into what the panel offers and how it works, so you can get an idea, if it is for you or not. What the Nielsen Computer & Mobile Panel is doing is to gather research and data about how people are using the internet. They are using this research to improve products and services that are available online. It is quite different from other research and survey panels, as you only have to answer a short survey to register and after this, you do not have to answer more surveys. You will just have to install an app or software on your device, and this will then gather data and send it to Nielsen, where it is combined with data from other panel members. Together this will build a picture of how the internet, products, and services are used, and this will be used to improve them in the future. So you are actually giving your opinion, just by using the internet as you always do, and this way you can help shape the online products and services of the future. Personally, I think it is pretty cool to be able to help with research like this and at the same time get rewards for it. And it does not take any extra time, as there are no surveys or tasks to do once you have signed up. I do however also understand, if you are worried about what data might be collected, and what it will be used for – I know I was definitely checking this, when I first heard about Nielsen Computer & Mobile Panel. So later in this review, I have gone more into this, if you want to know about this. You can install the app/software and participate on both mobile devices and on your computer. That is why the panel sometimes is just called Nielsen Mobile Panel or Nielsen Computer Panel, even though it really is the same panel. You can just choose which device you want to use. You can participate on both computer and mobile. If you want to participate on more devices, this is also possible. Ýou can register and install the app/software on several devices, and Nielsen guarantees that it is not affecting the performance of your devices. If you register more devices, it will increase your rewards and chances of winning big prizes, but more about the rewards later. But overall the Nielsen panels is very simple to use. You just sign up, fill out a small survey, you install the app/software, and then you will automatically participate in the research by giving data about your internet usage. Is the Nielsen Panel safe to use, and what does it collect? One thing I was wondering, when I first heard about Nielsen Panel, and that you just need to install an app/software to participate, was what data was being collected, and if it is safe to use. This is very important to know, before installing anything like that on your devices. So I looked more into this. First of all, it is definitely a good sign that it is Nielsen that is running the panel. It is a very reputable panel and one of the oldest and biggest customer research companies. So that alone shows that it is a company that can be trusted, and that it is safe. But it is of course still necessary to know what data is being collected. You will be anonymous, as your name will be kept separated from the data collected. So the data will not be used to identify you or your specific use. The data is combined with the data of thousands of other members as well as with data from other research tools. Together this will present a picture of internet usage that Nielsen can use for preparing reports and perform research about internet behavior. The panel is safe to join, and you will be anonymous. As you can see on the image above, Nielsen will never collect the content of the websites you are visiting, and it will never collect any user IDs, passwords, and other private information, and you will remain anonymous. What it will collect is data about the URL/website address you are visiting, how long you are on the websites, and your general online behavior. Personally, I am very skeptical about allowing companies to get access to my data, unless I am sure it is a legit company. And when it comes to Nielsen, it is definitely a legit and trusted company, so if you want to participate, you should not be worried about this. 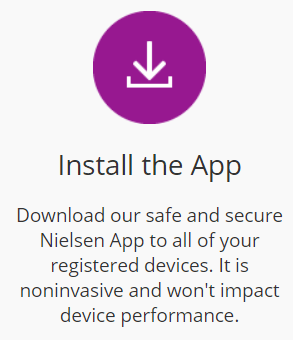 So how will you then get paid to sign up and having the Nielsen app installed? The exact rewards depend on the country you live in, and the devices you use. But in most countries you earn points, when you have the app installed on your phone, and these points can then be exchanged into gift cards or products. If you have the app installed for a year, you will have earned around $50. It might not sound like a lot, but you also do not have to do anything. So once you have signed up, it will be passive money, and you can participate on more devices. In some countries you will also earn these points, when using your computer. For both computer and mobile devices, you will also automatically enter into the monthly prize draw. The prizes you can win are big and some of the highest I have seen for a research panel. The exact amount of the rewards again depends on your country, but examples are the US, where Nielsen monthly have prizes for $10,000. In the UK there are monthly, quarterly, and yearly rewards with a total of prizes for £30,000 yearly divivded between 150 winners. The rewards are different in each country, but as you can see, you can get the chance to win some really big money without having to make any effort for it. So even though you are of course not guaranteed to win, it can in my opinion be worth it, as you also do not have to spend any time getting these chances. There are not as such any requirements to join Nielsen Computer and Mobile Panel, as they need people with many different backgrounds to participate to get viable data. You do however have to be 18 years old to join, and of course need to own a computer or mobile device (phone or tablet). Nielsen has specific panels for different countries. It has panels in quite a few countries, but they are not always recruiting. At the moment I know they are recruiting in the US, UK, Australia, Hong Kong, and Germany. I will keep this updated, when I hear they recruit in other countries, and by clicking the join button at the end of this review, you will be able to see links to the specific countries, so you get to the right panel. If you do not live in one of the countries mentioned above, you can instead check out the best survey panels in your country here. What if you want to leave the panel? If you at any time do not want to participate in the panel, it is easy to stop. You can just cancel your panel membership and uninstall the app/software, and it is easy to do, which is also great to know in advance. The panel is however doing ongoing research, so if you want to, you can also stay a member for years, and in some countries you get more benefits the longer you are a member. If you should ever need any help, it is of course important to know, if Nielsen Computer and Mobile Panel gives support. You can easily find the contact form on their websites and send them questions. Again, it is a reputable company, so you do not have to worry about whether they will answer or not, as it is unfortunately the case on some survey panels. Let us sum up the pros and cons for Nielsen Computer and Mobile Panel, so you can get a better overview, before deciding to join or not. The panel is definitely a legit panel, and I think it is great that the data they collect is used to shape the products and services of the internet, which is something we will all benefit from. I usually do not like panels that only offer entries into sweepstakes, and where you are not sure to get rewards unless you win. But in the case of Nielsen, it is a bit different, as you do not have to do anything. You just passively get chances to win big prizes, while providing important feedback. And in some countries or by using your mobile device, you will also earn rewards. So overall I think Nielsen is a great panel. 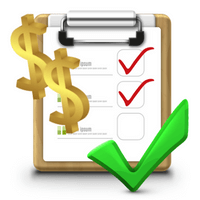 It will obviously not give you a lot of earning chances, so if you are looking to earn more, it is a great idea to also join the high paying survey sites in your country, where you can find daily earning opportunities. 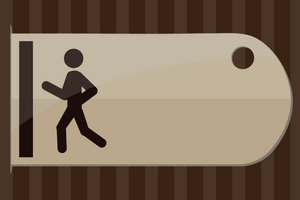 But as an extra chance to get some rewards and high prizes without any effort, Nielsen is a great option. How to join Nielsen Computer & Mobile Panel? 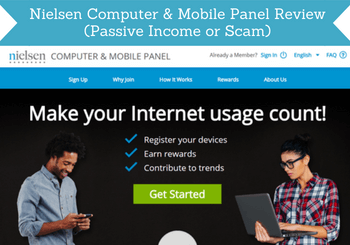 It is very easy to join Nielsen Computer and Mobile Panel. Just click the button below, choose your country, and you will then be taken to the registration form for your country. To join you then have to answer a short survey, and you can then register the devices you want to use and download the software/app. After this, you do not have to do anything else. I hope this review has helped you decide whether this is the right panel for you to join. If you have any comments, questions, or have any experiences with Nielsen Computer and Mobile Panel yourself, I would love to hear from you in a comment below. Nielsen Computer and Mobile Panel is a safe panel to join, as one of the most reputable and oldest research companies are behind it. You will not earn a lot, but you also do not have to do anything once you have joined, and you get the chance to win very big prizes. Can they see your credit card numbers and bank information? No they cannot. You will be completely anonymous. This looks awesome, unfortunately it is not available here in Canada , am I right? I will share this information though with family and friends in the countries where it’s available. You have really convinced me that it’s legit and the company is top-notch. Passive income, though small, is something. Nielsen is not actively recruiting in Canada for this particular panel at the moment. But they for example have Nielsen Homescan Canada, where you can get rewards for scanning the products you buy. So if that sounds interesting to you, you can check out Nielsen Homescan Canada here. This actually seems like it might be worth it. I am a little on the fence about sharing data, but it is good to know that it will be anonymous (and they seem pretty transparent). I have actually heard about Nielsen before. At any rate, getting $50 for doing 5 minutes of work seems like a pretty good deal to me. Yes it is definitely a good pay for not really doing anything. And at the same time it helps to improve the services we all use online. Also, remember that if you install on more devices, you will be able to make $50 for each device. I understand your concerns in general about sharing data, but the good thing about Nielsen is that it is a reputable company that has been around for many years. And as you mention, you will remain anonymous, as the point is not to see your specific internet use, but to get statistics about the overall use, so all the data are used together and mixed.